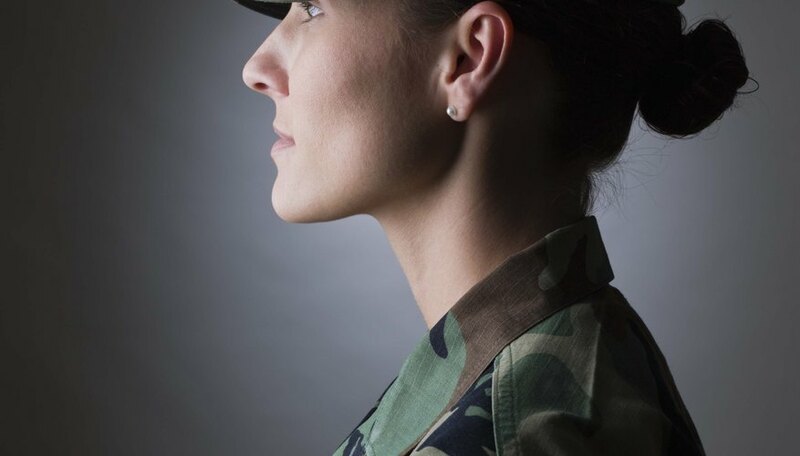 Military life is challenging and exacting for females who may see combat. Treat her like a lady. Although tactical road marches and field exercises are a part of her work life, she should still be treated with the same respect afforded to any civilian lady. Know that many military women feel relieved to be treated like a lady instead of "one of the boys". Understand that she has military obligations that often do not allow her to make choices about her schedule. The military is a highly structured, detail oriented organization that emphasizes readiness and accountability. Although she may want to attend the weekend long festival with you, it may conflict with a scheduled assigned duty or test. Keep her motivated. There may be times when she is depressed about upcoming events or procedural changes. For example, your date may be nervous that she won't pass an upcoming mandatory physical fitness test. Provide comfort and support to help her through tough times. Respect her role as a military service member. Although you may not agree with every military action, it is important to show appreciation for the sacrifice made by the soldiers. Do no belittle your date for her choices or views of the views and choices of those who command her. Remember that chivalry is not dead. Contributor. "How to Date a Military Woman." Dating Tips - Match.com, https://datingtips.match.com/date-military-woman-13443148.html. Accessed 21 April 2019.